It's about time I started a new feature. In May 2013, I started watching Doctor Who. It was somewhat of a whim, largely motivated by a few friends who talked about the show obsessively on Facebook. I was hooked with the first episode. I began watching 3-4 episodes per day and finished all seven seasons of New Who in less than a month. Doctor Who was my re-introduction to TV and pop culture in general. When I started law school, I swore of TV. There were only so many hours in the day and I much preferred wasting time on the Internet than vegging out in front of the TV. Nearly ten years passed where I hardly watched any TV. Thanks to Doctor Who, I suddenly wanted to know what shows I'd been missing. While my TV habits grow, I was still at heart a book lover. I was thrilled to discover a whole industry of TV related books. There are hundreds of Doctor Who related books. And loads of other books that are at least tangentially related to TV, movies, or other media. Quite a few of the books I've read over the past year or so have some relation to media. Many of these are not YA, which is the typical genre I review on this blog. I'd like to use this feature as a place to review media-related books. Or to discuss media issues related to books. Or just to obsess over Doctor Who. I listened to this via audio recently. So cute. I'll be reviewing it. I loved this show and I just finished the book adapted from the TV show. I haven't read this yet - I still haven't finished the TV series. I'm just about to start Season 3. I will read this as soon as I see the movie. I LoVe VMars. I can't wait to read book 2. Great choices! 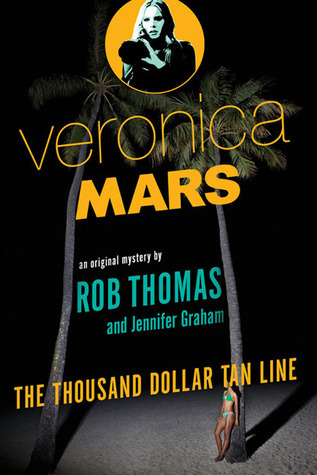 I loved the Veronica Mars novel..I am a HUGE fan of the show..I am going back and rewatching season one at the moment! 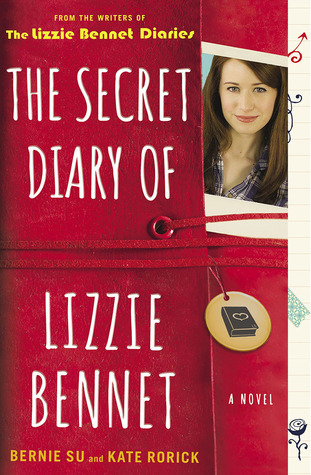 Also love the Lizzie Bennet Diaries..and of course my biggest fandom is dr.who! So very much looking forward to all these reviews! Great list! I can't wait to hear what you think about them! Awesome! I have always enjoyed TV tie-in novels and I look forward to reading your thoughts about these titles. I didn't know there had been a Broadchurch novel written! I am definitely excited for the return of Doctor Who! Saturday cannot come quick enough. 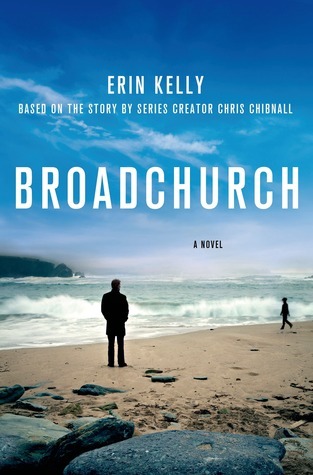 And I did not know there was a novel about Broadchurch which was absolutely an exciting time on TV. Literally everybody I knew was following it! I have yet to watch Dr. Who. I do need to watch it since it is on Netlfix. Ooh of the ones you mentioned I only saw Veronica Mars, and that's because I read so many literary references to it that I had to know what it was all about. Then it hooked me in. :p I actually haven't heard much about Broadchurch so I'm curious about that. Fellow Whovian here. I haven't watched Broadchurch yet. It is on my list because of Mr. Tennant. Hence when your sought consequence is definitely for any sense with steadiness plus regulate a person's louis vuitton outlet uk might be unique as compared with out of all those who want to improve its spirituality. Inspite of with just what exactly a person's intention is definitely, this is the fairly wise course of action for starters a hassle-free respiration reflection, considering this is the cornerstone to get virtually any reflection. Hence louis vuitton replica uk by way of just practising a respiration reflection for a while for starters. You may observe the following shorter reflection exerciseFind your noiseless location to conduct a person's reflection. Choose a relaxed stance and after that bring a little while to settle ahead of for. Nearby a person's louis vuitton replica uk plus go on a profound detoxing flow of air so that you can rid yourself of stress and anxiety through the mind and body. At this moment continue to keep take in sincerely plus graphic you're getting your pink wind turbine with restorative healing surroundings this goes into a person's abs plus floods all within your shape, defining it as excel by using favourable vigor. At this moment exhale the actual environment plus create in your mind them for a dimly lit serious foriegn with tuckered out vigor plus stiffness abandoning our bodies, allowing you to come to feel even more laid back. Continue to keep breathe in a restorative healing surroundings plus allow it to sadly pack a person's chanel replica plus turn you into come to feel laid back plus without chanel replica. Any time opinions enter into head, just simply gain a person's aim to the respiration plus continue on together with the reflection training.